What constitutes an important piece, worthy of translating and presenting in Russian Politics & Law? The answer, I think, is “it depends”. Each article in this issue and this volume – and all of the 54 volumes that came before – was selected for a reason, but those reasons were different. In some cases, the text is an excellent piece of social science, truly cutting edge research that genuinely begs for the attention of an audience that doesn’t read Russian. But in some ways, those articles are the exception to the rule. Russian Politics & Law is not a peer-reviewed journal. Some of what is printed here is indeed taken from peer-reviewed Russian-language journals, but far from all of it, and there is no collegial process at this journal designed to determine whether the research and analysis meets a given standard of rigor. Why? Because not everything that is important is rigorous. All of that is a long way of saying that much of what is in this issue may come as a surprise to some of the journal’s readers. Take, for example, the piece by Vladimir Karacharovsky and Ovsei Shkaratan. The authors – both economists involved with the Laboratory for the Comparative Analysis of the Development of Post-Socialist Societies at the Higher School of Economics (HSE) – make a highly original attempt to determine the price that ordinary Russians are willing to pay for social transformation. 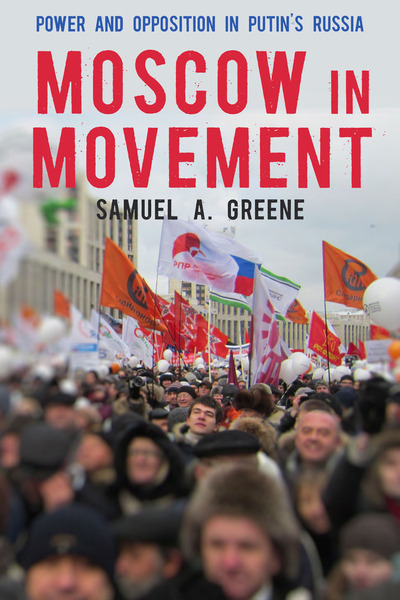 Their motivation is two-fold: to understand how Russian citizens materially evaluate the balance between public and private goods, and to understand the importance that Russian citizens attach to the political (and, importantly, the geopolitical) power of their state. Their conclusions, while complex and in some ways contradictory, suggest that on a number of fronts the Russian state and social contract are not operating to the liking of its citizens. Another economic contribution comes from Girsh Khanin and Dmitry Fomin, the former a professor of economics at the Siberian branch of the Presidential Academy of the National Economy and Public Administration (RANEPA), and the latter a fellow in economics at the Novosibirsk State University of Economics and Management. By using a number of structured comparisons, the authors seek to calculate the ways in which official Russian statistics may have systematically distorted the country’s economic and investment performance since the end of the Soviet Union. Concluding that the distortions have been significant – and that real investment in physical and human capital has been grossly overestimated – the authors argue for taxing as much as half of all private spending to create a new, state-driven investment program. Because Russian Politics & Law does not conduct peer review, the decision to publish these pieces should not be taken as a judgment of the quality of their methodology or analysis. (This is all the more true given that this is not an economics journal, and the editor is not an economist.) The analysis in the articles may well be wrong – but plenty of things that are wrong are nonetheless important. Karacharovsky and Shkaratan, on the one hand, and Khanin and Fomin, on the other, are contributing to an important conversation about the future of the Russian economy, and that conversation has much more to do with politics than with economics per se. The idea that the Russian economy is short of investment is not novel; nor is the idea that most Russians are not terribly happy about how their state is governed and resources are distributed. But most English-language readers will encounter these arguments in the context of newspaper articles and op-eds, investment bank and international financial institution reports, and so on, almost all of which reflect a more or less ‘Washington consensus’ view of the need for further liberalization. Not a world away from that are the pronouncements of the economic bloc of the Russian government itself, which frequently opines on the need for ‘structural reform’ – generally without elaborating on the content of that reform. In Russia, however, these liberal perspectives are not the only responses to economic challenges that have currency. Many of the other points of view focus – as these articles do – on a reevaluation of history, of values, and of justice, but they are all fundamentally about different imaginations of Russia’s future. The work presented here represents only a fraction of the complexity and heterodoxy of the actual debate, but it is eye-opening nonetheless. The rest of the issue presents somewhat more familiar views and voices for this journal’s readers, while sticking with the overarching theme of Russia’s complex future. Alexander Kynev reviews the new Duma, now once again elected through a mixture of proportional and majoritarian mechanisms, and uncovers the challenges that United Russia and the Kremlin will face in managing the new cleavages opening up in regional politics – foreshadowing the troubles the party had in regional elections in the autumn of 2018. In two smaller pieces, Konstantin Gaaze and Gleb Pavlovsky polemicize (and philosophize) on the difficulties the Kremlin and the Oligarchs seem to be having in settling on their own imagination of Russia’s future. Like most of what this journal publishes, these pieces are here not because they are true, but because they are important. They represent – perhaps impressionistically, perhaps imperfectly – arguments and ideas that both shape and reflect Russia’s tormented politics. We read them, then, not in order to agree or even to judge, but in order to understand.